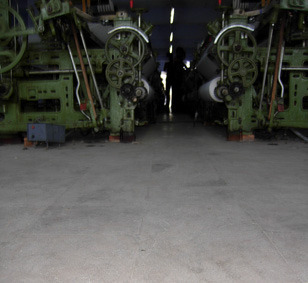 A special range of Heavy Duty flooring tiles specifically for Heavy Wearing usage of industries. The TERRAFIRMA range of extra abrasion resistant and tough cement tiles with hard aggregates (stone, Granite, abrasive powder etc.) are ideal as an alternative to Kotah Stone/IPS or other floorings for industries. We invite you to go ahead and open the door to large savings in flooring costs in addition to good looks. We, GHANSHYAM TILES' established in 1995 is one of the leading manufacturing, supplier and service provider for our wide range of products. We have created a strong hold in the market for its varied range of products. Our range of products include Paving Blocks, Concrete Cobbles,Flange Stone, Landscaping Tiles, Terazzo Tiles, Kerb Stone,Chequered Tiles , Interlocking Paver Block, Tiles, KERB-Stones, Colored Tiles, Bricks, Saucer Drain and Slab etc. With the tough quality checking techniques we make sure that, the products manufactured by us meet the required market quality standards. Providing quality assurance and reliable professional service satisfying the client’s requirement is our most important motto. Based in Gujarat, we are furnished with state-of-the-art-infrastructure unit that is spread over a large area As our infrastructure sprawls across a huge landmass, we have well partitioned it into various departments such as production, administrative, research and development, logistics, warehousing & packaging, quality control, sales & marketing, administrative and many more. Further, our R & D department persistently makes endeavor to offer solutions according to the exact demands prevailing in the industry. Our infrastructure is also supported with a highly spacious storage facility, where our voluminous range can be stored for maximum time period. Under the guidance of our mentor, “Mr. Praveen Bhai Patel (Proprietor)”, we are successful in carving a niche for ourselves in this cut-throat competitive market. We export our products in India.